The most firearm-friendly libertarian and gun-control centered politician can agree at least on one fundamental point: the need to keep guns safe and out of the hands of unprepared kids. Unfortunately, it looks like we're not doing a very good job of that. Top image: BG Knight, Shutterstock. 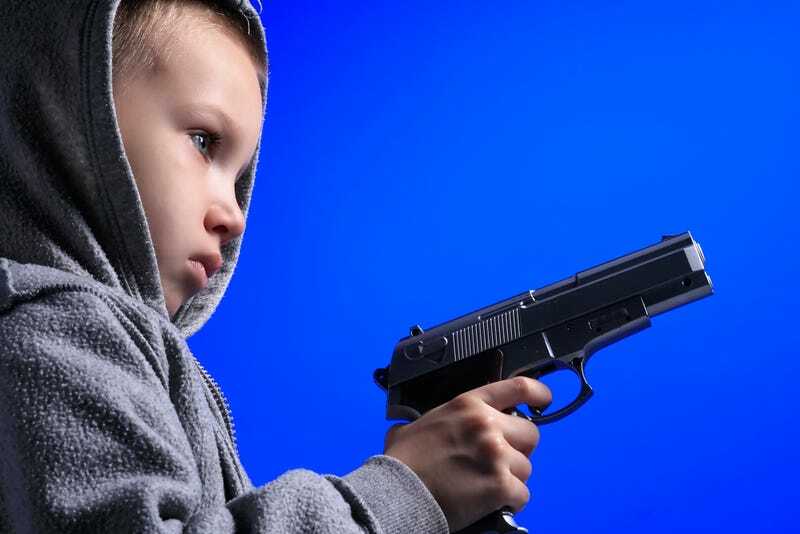 A paper being presented at the American Academy of Pediatrics (AAP) National Conference and Exhibition in Boston looked at the rate of firearm injuries to youths under 20, and found that it is happening much more often than most people believed. Some 20,600 firearm injuries happen to 0-19 year olds every year, of which 4.5% are fatal. 63% percent of these injuries were intentional; 37% were not. The number of non-fatal injuries is actually 30% higher than previous estimates, and African American males older than 11 were at a higher risk of coming to the emergency room due to a gun injury. Despite what many would think about inner city violence, these injury rates were no more common in metropolitan areas than elsewhere. However, the highest percentage was in the South (47%), then the Midwest (34%), the West (14%) and finally the Northeast (5%). With the rate of injuries so much higher than previously estimated, it might be a good idea for people to pay a bit more attention to gun safety.